TEF1105P-4-63W is a Tenda PoE switch that offers 5 10/100 Mbps Base-TX RJ45 ports. Up to 250 meters long distance transmission, beyond hundred meters transfer limit. 6KV lightning protection PoE switch is the real monitoring private switch. Ports 1-4 support IEEE 802.3at and IEEE 802.3af PoE standard. It provides 30W maximum PoE output a single port and 58W the whole device. 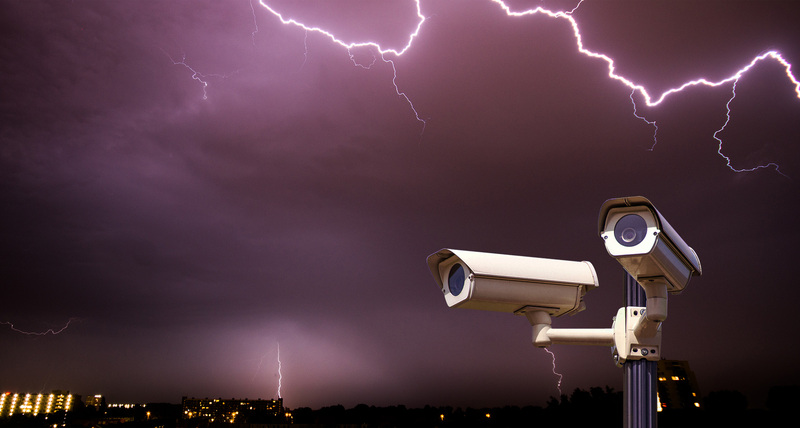 In the real project, AP or IP cameras are often installed outdoor or the higher position, which is also increases the risk of cameras and PoE switches impact by the lightning shock .The result is the individual equipment damaged, or lead to the whole local area network (LAN) paralysis. Tenda TEF11 series switches have the professional lightning protection design -up 6 kv port and power supply thunder prevents , with two levels of protection design respectively, effectively restrain the power of lightning from cable, which equivalent to give the entire network monitoring system with a security fence. The test standard is much higher than the national CE request. In thunderstorms weather, it can also provide monitoring system or local area network stable, reliable service, protect the images transmission be normal. Due to the complex monitoring environment, when making cabling and networking, it very often to encounter the problem of inadequate network transmission distance, the distance of each camera terminal to the monitoring center is different, some only a few meters, some hundred metres, while others are more than kilometers. Tenda TEF11 series PoE monitoring switches, exclusive patent network extension technology, use the common existing twisted pair, can support 250 meters data transmission, break the existing twisted pair hundreds meters transmission limit. Ports 1-4 comply with the IEEE802.3af and IEEE802.3at power supply standards. The entire switch offers a maximum PoE power output of 58W, whereas each port offers a maximum PoE power output of 30W. The ports can be used to supply power to and exchange data with APs and IP cameras.